The Library will be closed on Monday, September 3rd for Labor day. We will reopen again on Tuesday at 8:00 am. 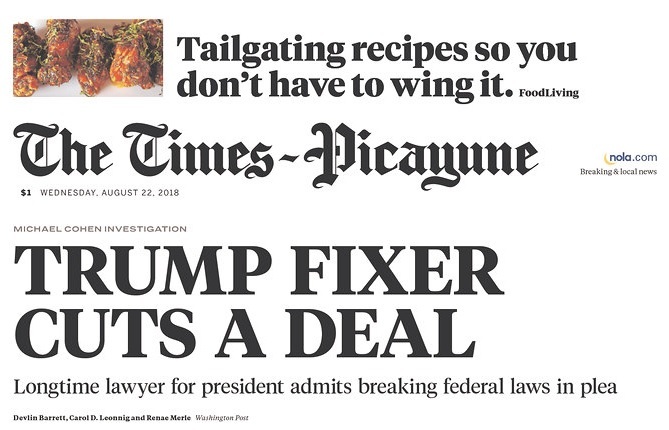 Newspaper editors don't always select the same stories to highlight. One editor might judge an event to be less significant than another does, or they may choose stories that are important locally but not nationally. 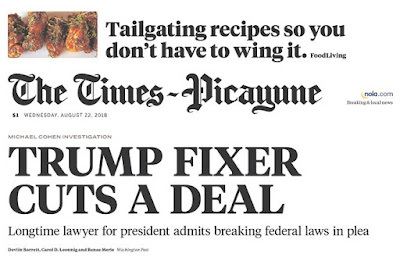 This morning a friend posted on Facebook that his local paper did not put Michael Cohen's plea and Paul Manafort's convictions above the fold on the front page. That inspired me to visit the Newseum's cool collection of today's front pages. You can browse hundreds of papers. 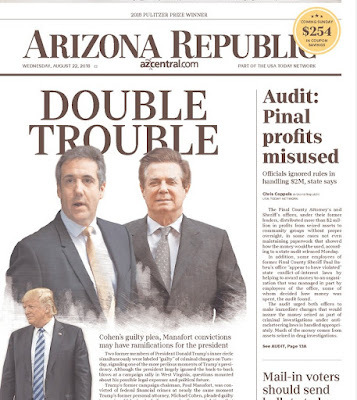 By the way, I copied the images from the front pages here (rather than simply linking) because the links will lead to tomorrow's front page tomorrow and the next day's the next day. 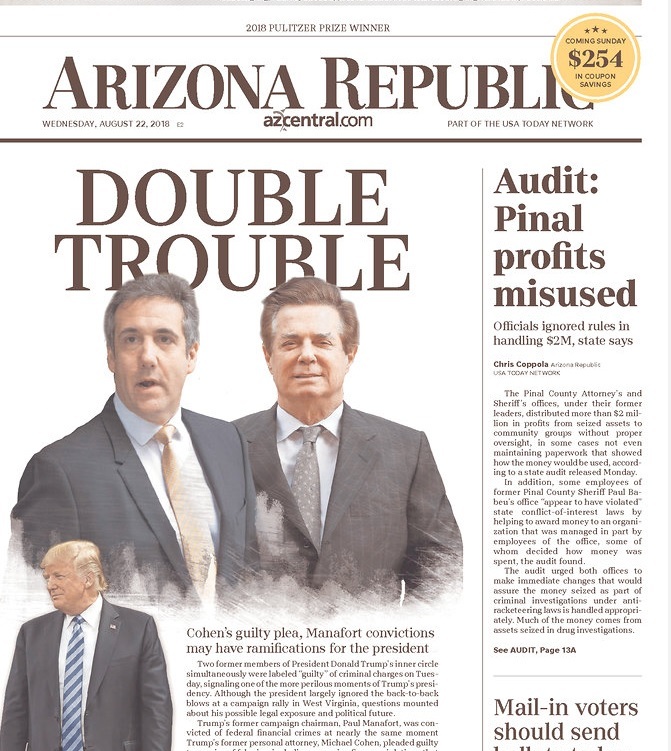 The Newseum provides access to an archive of selected front pages "from events that are considered of historical significance and fit its educational mission." A free registration is needed to view them.